Wandering the city of Quito, Ecuador, I got a sense of of how this city flows from its past to its present. I saw numerous churches and statues celebrating their Catholic faith, with architecture inspired by the Spanish colonialists who came to this continent. I loved seeing the people – the young people, who dressed like people their age in any country – jeans, tshirts and the prerequisite cellphone. And seeing the older people – women who dressed in traditional garments of Ecuador (with colourful adornments and multi-strand necklaces) as much as dressing like anyone you’re used to seeing. Among the colonial architecture, and European-inspired modern city dwellings, there was plenty of life on the street. 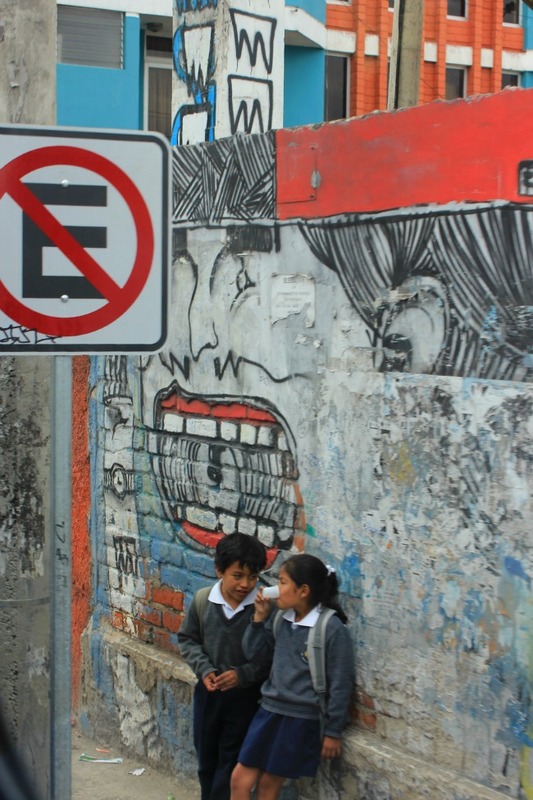 From the numerous people on their way to work, and students heading home from school to walls being adorned with lots of graffiti – from simple tags to intricate images, as well as unique public art and numerous parks. I liked seeing the mix of tradition and contemporary – each coexisting and both representing Quito’s unique urban mix. For travellers like myself, we sometimes assume that this part of the world is somehow elusive of the contemporary world or that they cannot be as savvy about technology. For me there’s a distinct energy that comes from a city like this – and although its not how we perceive urban development, I’m glad to see it slowly making its image based on its history and residents, not on what other cities are doing. 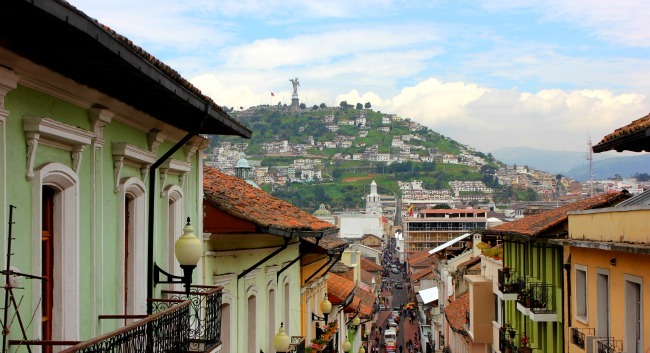 You’re right, places like Quito do exude an energy. I experienced the same in other South American cities, too. I can’t wait to get back. Lovely post, Waheeda. Seeing all the reports in the news makes me curious about what Quito’s residents think about the impending visit of a possible new resident….